Daniel Sheflin enjoyed a successful career as an engineer and business leader, with positions including general manager of engineering at General Electric and vice president of technology automation control solutions at Honeywell. Since retiring in 2015, Daniel Sheflin has stayed active through competitive cycling. He also enjoys following the Tour de France. The Tour de France was established in 1903 by Henri Desgrange, a cycling enthusiast who had recently been appointed director-editor of the newspaper L‘Auto. The first staging of the Tour was Desgrange’s attempt to raise interest and sales for the magazine, though the popularity of the inaugural event went on to exceed his wildest expectations. Long distance races were a common means of driving newspaper sales at the time, but none approached the scope of what would become the first staging of the Tour de France. The five-stage race began in Paris and passed through Lyon, Marseille, Bordeaux, and Nantes before circling back to Paris. Between 60 and 80 cyclists entered the race after Desgrange lowered admission fees and increased prizes, though only 21 remained by the end of the grueling race’s fourth stage. Maurice Garin became the Tour’s first winner, and in dominant fashion. He outpaced the last rider by nearly 65 hours. 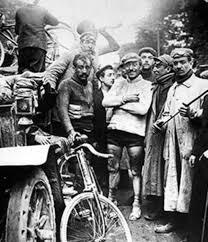 The first Tour de France was an unqualified success as it doubled publication numbers for L’Auto. In recognition of the passionate fan response, Desgrange agreed to host a second tour in 1904, which he expected to be the last. However, the popularity of the race only continued to grow. This entry was posted in Daniel Sheflin, Sports and tagged Daniel Sheflin, history, Tour de France on April 14, 2019 by Daniel Sheflin. Daniel Sheflin is an experienced engineer and business leader who spent nearly 14 years with Honeywell in Golden Valley, Minnesota, as vice president of technology automation control solutions before retiring in 2015. Daniel Sheflin is a fan of professional football and enjoys supporting the Minnesota Vikings. 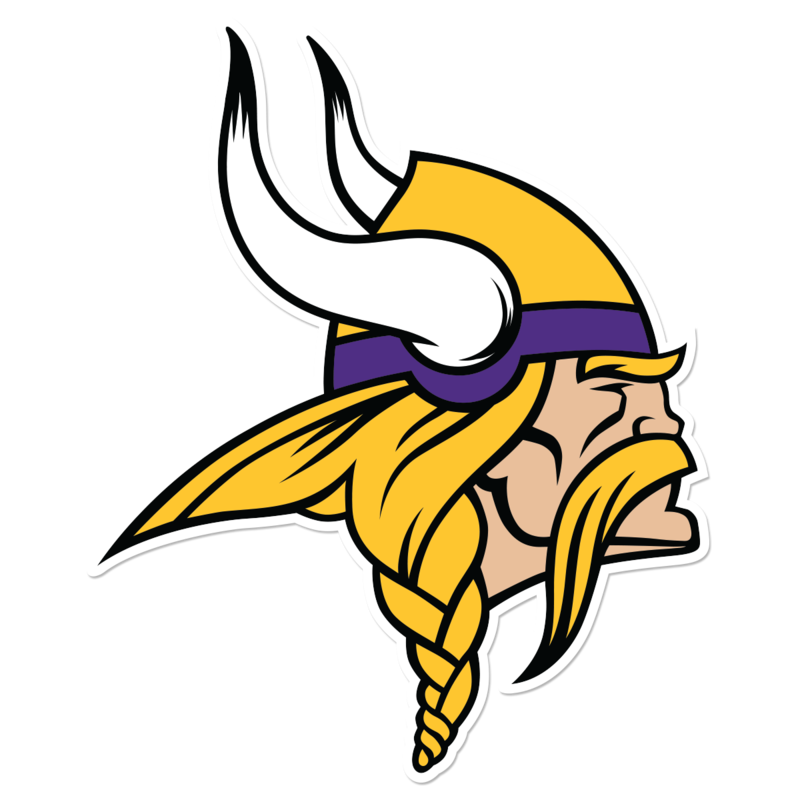 The Vikings joined the National Football League (NFL) in 1961 and have played in four Super Bowls. The franchise enjoyed its most successful season in 1998, when it won 15 games and advanced to the NFC Conference Finals. The Vikings opened the season on a seven-game winning streak. Its offense, which was led by quarterback Randall Cunningham and running back Robert Smith, scored a league-leading average of 34.8 points per game. 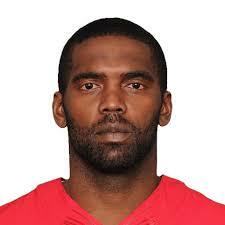 Its offense also featured rookie wide receiver Randy Moss, who caught 69 catches for 1,313 yards and 17 touchdowns. Following a narrow three point defeat to the Tampa Bay Buccaneers in Week 9, Minnesota closed the regular season on an eight-game winning streak, which included a 50-10 win over the Jacksonville Jaguars. With 15 regular season wins and a single three point loss, the Vikings rival the 2007 New England Patriots, which went 16-0, as one of the greatest regular season teams since the season was expanded to 16 games. The Vikings carried its high-powered offense into the post-season and defeated the Arizona Cardinals by a score of 41-21. In the NFC Conference Finals, however, Minnesota suffered another nail-biting loss, falling 30-27 to the Atlanta Falcons in overtime. This entry was posted in Daniel Sheflin, Sports and tagged 1998, Daniel Sheflin, Minnesota, Vikings on March 22, 2019 by Daniel Sheflin. Daniel Sheflin is an accomplished engineer and business leader who spent 14 years as vice president of technology automation control solutions at Honeywell in Golden Valley, Minnesota, prior to his retirement in 2015. Daniel Sheflin enjoys staying active by exercising and cycling. There are various aspects of cycling etiquette individuals must remember when sharing the road with other riders, pedestrians, and motorists, particularly when riding as part of a group. Large cycling groups cannot function without the proper use of hand signals, especially when it comes to pointing out obstacles and debris in the road to other riders. Potholes and open car doors are some of the most common obstacles encountered while riding in the city, while loose sand or gravel on the road also represent potential safety hazards. 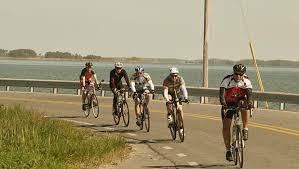 Bike control is another key aspect of group riding. Cyclists should be smooth with their turns, stops, and accelerations, even if it means riding over minor holes that would be easily avoided during a solo ride. Groups should never leave behind slow riders, particularly if a cyclist has suffered an injury or has an issue with their bike. That said, it is considered an important element of cycling etiquette to never go out with a group riding at a higher skill level. Additional elements of riding etiquette can be attributed to common sense and courtesy. Littering, for example, is frowned upon on the cycling path, as is the failure to observe stoplights and other traffic signs. This entry was posted in Daniel Sheflin, Sports and tagged cycling, Daniel Sheflin, Group Rides, tips on March 14, 2019 by Daniel Sheflin. Daniel Sheflin, a retired executive with experience in the engineering field, most recently served at the vice president and chief technology officer of Honeywell’s automation and control solutions division. An avid sports fan, Daniel Sheflin supports the Minnesota Vikings football team. – Randy Moss: As soon as he joined the Viking, Moss began making his talent on the field known. He finished with rookie year with more than 1,300 yards, 69 catches, and 17 touchdowns. This streak continued through 2004, when he ended his time with the team. During those six years, he was among the top 10 offensive players in the league for score and yards five times, and has the second-most receiving yards, receiving touchdowns, and catches in team history. – Cris Carter: In 1990, Carter was cut from the Philadelphia Eagles due to problems off the field. Despite these issues, Minnesota gave him a chance and benefited from his talent for more than a decade. He started for the team in 1991 and achieved 72 catches and 962 yards. During each subsequent year, he reached at least 75 catches and 1,000 receiving yards. The Pro Football Hall of Fame inducted him as a member in 2013 and he holds the team’s career record for touchdowns, catches, and receiving yards. – Fran Tarkenton: Picked up in 1961 as the team’s third draft pick ever, Tarkenton was one of the Vikings’ greatest quarterbacks. He was on the roster when the Vikings won their first-ever game and once held every major passing mark in the NFL despite playing at a time when passing was minimal in football games. Although the Vikings traded him in 1967, he found his way back to the team in 1973 and appeared in three Super Bowls between then and his retirement in 1979. This entry was posted in Daniel Sheflin, Sports and tagged Minnesota, nfl, Vikings on February 7, 2019 by Daniel Sheflin. A retired engineer, Daniel Sheflin spent more than two decades in leadership positions with Honeywell locations in Erie, Pennyslvania, and Golden Valley, Minnesota. Now a Florida resident, Daniel Sheflin stays active as an avid cyclist who enjoys fat biking and following events such as the Tour de France. 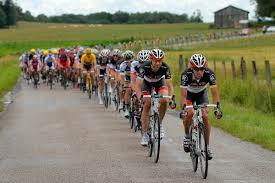 The most famous bicycling race in the world, the Tour de France also stands out as the world’s largest annual sporting event. Each year, millions of spectators gather throughout France to watch hundreds of cyclists compete over three weeks and roughly 2,000 miles. The race is also interesting for the story behind its origin. In the 1890s, a political and military scandal in which a Jewish French military officer was falsely accused of espionage rocked France. Known as the Dreyfus Affair, the scandal split French society and exposed, among other social pressures, deep strains of anti-Semitism in the country. One of the many fissures happened at the offices of Le Velo, France’s most popular cycling magazine at the time, when a group of editors broke away over the controversy to form their own magazine, L’Auto-Velo. Le Velo sued the new magazine, forcing it to change its name to L’Auto. After the name change, L’Auto’s sales dwindled, and it appeared that the magazine would have to fold. Scrambling for survival, L’Auto’s editor, Henri Desgrange, came up with the idea of sponsoring a cross-country bicycle race as a promotion. Although Desgrange initially had difficulty finding riders, he was eventually able to draw attention to the event by offering a prize of 20,000 francs. The first race, held in 1903, was comprised of 60 riders who traveled more than 1,500 miles. The event proved popular, both saving L’Auto and establishing a tradition that lasts to this day. This entry was posted in Daniel Sheflin, Sports and tagged Daniel Sheflin, history, Tour de France on February 1, 2019 by Daniel Sheflin. An experienced engineer, Daniel Sheflin’s career includes executive roles with Honeywell and General Electric, where he managed over 5,000 and 500 engineers and scientists, respectively. Outside of his professional endeavors, Daniel Sheflin is a passionate fan of the Minnesota Vikings. The Vikings defeated the New Orleans Saints on January 14 to advance to its first NFC Championship game since 2009, and a big reason why is the play of quarterback Case Keenum. Signed to a one-year, $2 million contract prior to the start of the 2017 season, Keenum was expected to back up Sam Bradford and provide additional insurance behind the recovering Teddy Bridgewater. Instead, Bradford suffered a season-ending injury and Keenum’s play in his absence warranted him to remain the team’s starting quarterback even when Bridgewater was cleared to play. In the playoff game against the Saints, Keenum connected with wide receiver Stefon Diggs on a game-winning 61-yard touchdown as the clock expired. He finished the game with 318 passing yards on 40 attempts. 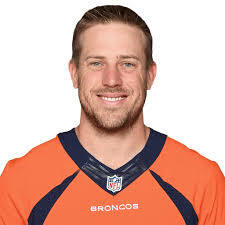 Undrafted out of college, Keenum was signed by the Houston Texans in 2013 and started 10 games for the team before he was traded to the St. Louis Rams in 2015. He joined the Vikings with a career win-loss record of 9-15, but finished the 2017 season with a record of 11-3 to go along with 3,547 passing yards and 22 touchdowns. This entry was posted in Daniel Sheflin, Sports and tagged Case Keenum, Daniel Sheflin, Quarterback, Vikings on December 13, 2018 by Daniel Sheflin. The recipient of a bachelor’s degree in mechanical engineering from the University at Buffalo, Daniel Sheflin previously served for 14 years as the vice president of technology automation control solutions with Honeywell. An avid NASCAR fan outside of work, Daniel Sheflin looks forward to the annual Daytona 500 race. The Daytona 500 has been held annually since 1959, and there have been 11 drivers to win the acclaimed race multiple times, including Richard Petty, who has a record-setting seven Daytona 500 championships. Below are the three most recent winners of the race. 1. 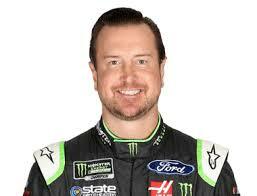 Kurt Busch – A 39-year-old who resides in Las Vegas, Nevada, Kurt Busch won his first Daytona 500 in 2017. It was the only win he recorded in 36 races, but he also had 15 top-10 and six top-five finishes. Since his rookie season in 2000, he has won 29 races and made over $90 million in prize money. 2. Denny Hamlin – Like Kurt Busch in 2017, Denny Hamlin won his first-ever Daytona 500 in 2016. In fact, the 38-year-old won the closest race in the event’s history as he beat Martin Truex, Jr., by a mere 0.011 seconds. He won three races that season and now has a total of 31 career wins. 3. Joey Logano – A native of Middletown, Connecticut, Joey Logano debuted on the Monster Energy NASCAR Cup Series in 2008 and won his first race the following year as a 19-year-old driver. The Daytona 500 was one of six races he won in 2015. This entry was posted in Daniel Sheflin, Sports and tagged 500, Daniel Sheflin, dayton, nascar, winners on November 30, 2018 by Daniel Sheflin.